Gov. Godwin Obaseki of Edo on Friday assented to the 2018 budget of N150.09 billion pledging 95 per cent implementation before the end of 2018. Newsmen report that the Edo House of Assembly on Dec. 21 passed the state’s budget with an increase of about N3.4 billion. Newsmen also report that Gov. Obaseki, had on November 29, presented a budget proposal of N146.6 billion, made up of N66.7 billion recurrent and N79.8 billion capital expenditures to the legislature for consideration. Assenting to the budget in Benin, the governor described the occasion as ‘historical’, noting that it was the first time in the history of the state a budget was given assent before the beginning of the new fiscal year. “It shows seriousness of both arms of government and it also demonstrates the level of alignment between the legislative and the executive,” he said. The governor commended the legislature for fine-tuning the budget, saying that the increment of about N4 billion was realistic going by the current crude oil prices. “The ratio of capital to expenditure is now better; 2018 will be much better than what we experienced in 2017. “We will implement the budget to bring succour to the people of the state,” he said. Earlier, the Speaker of the House of Assembly, Kabiru Adjoto, had said the budget was designed to meet with the prevailing realities as well as for the benefit of the people of the state. Adjoto said the legislature increased the budget allocation for agriculture and infrastructure to allow for revenue generation for the state. The post Gov. 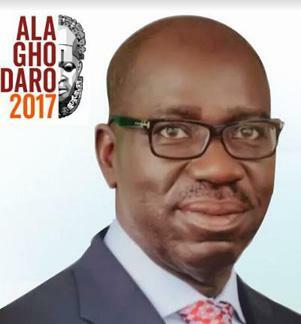 Obaseki assents to 2018 budget of N150bn in Edo appeared first on Vanguard News.